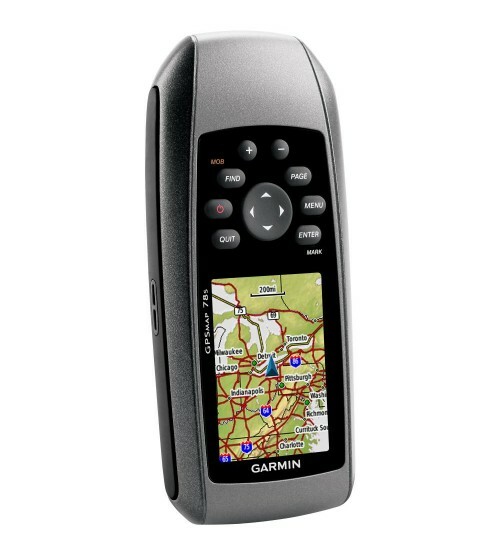 Searching for a handheld GPS you can use on the boat as well as on your next hiking, hunting or geocaching adventure, the GPSMAP 78S is your unit. This rugged handheld unit was designed to handle the tough marine environment. The housing is durable and rugged with molded rubber grips on the sides to ensure it won’t slip. The GPSMAP 78S is waterproof to IPX 7 standards and it floats, so it is safe if it takes an unexpected dip in some water. Garmin built the GPSMAP 78S with the boater in mind but loaded it with features that are usable in any outdoor application. The internal 3-Axis tilt-compensated electronic compass will give you an accurate heading even when standing still. The barometric altimeter is not only there to give you accurate elevation but can track the change in the pressure over time to keep you ahead of changing weather. The GPSMAP 78S also has a high sensitivity GPS receiver with HotFix technology that will ensure that you receive a fast satellite lock and accurate position readings. The 2.6” transflective color display has a 160 x 240 resolution and is viewable in any lighting condition. 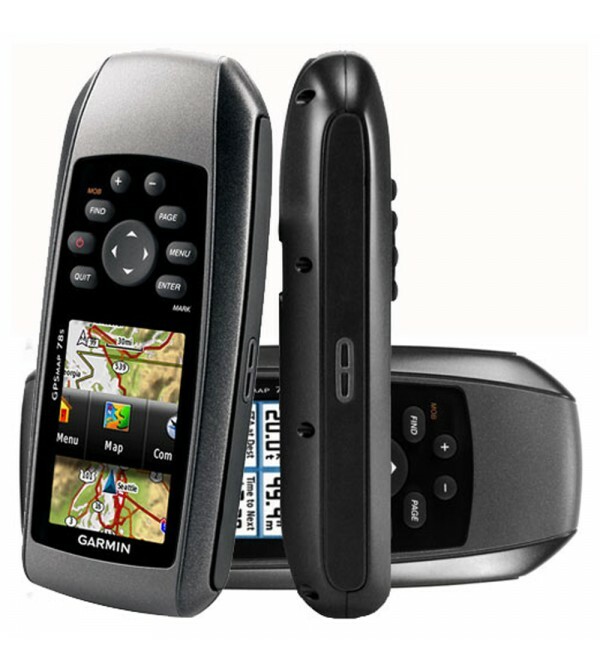 Other great features of the GPSMAP 78S include the ability to wirelessly share waypoints, routes, tracks and geocaches to other compatible Garmin units. The 78S can also accept maps from the optional Garmin Mapsource products and the BirdsEye Satellite imagery subscription. There is 1.7 GB of memory on the unit for you to use and a microSD card slot for you to add additional memory if needed. You can even use the GPSMAP 78 to paperless geocache, download the .GPX file right to your unit. Storage for 2000 waypoints, 200 routes and 10,000 track log points is also included. · High Sensitivity WAAS GPS Receive. · Up To 20 Hours of Battery Life with 2 AA Batteries. · 1.7gb of Internal Memory to Load Garmin Custom Maps. · Ability to Wirelessly Share Information. · Of Routes : 200 Rev. · Speed Limitation 999 MPH. · Supports - Lat/Lon, TDs, UTM/UPS, MGRS , Plus other Grids Including Maidenhead.